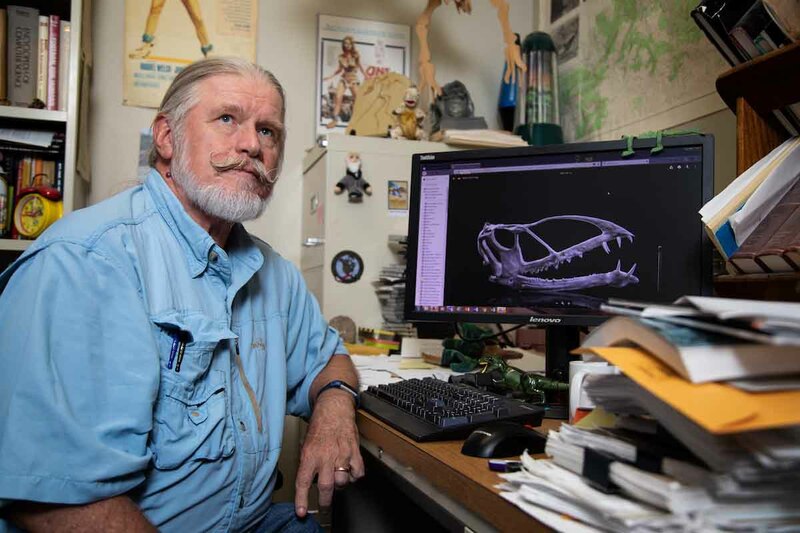 UNO geology professor George Engelmann (pictured) discovered a new species of pterosaur, or pterodactyl, at a dig site in Utah. The pterosaur they discovered is believed to have a wing span of about five feet. Here we see a 3D scan of its skull. 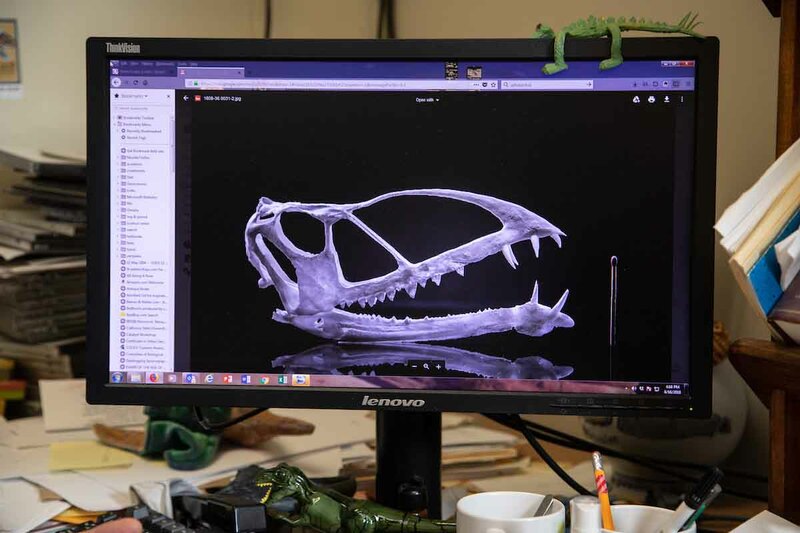 University of Nebraska at Omaha (UNO) geology professor George Engelmann is making national headlines for unearthing the fossils of a never-seen-before species of dinosaur. Engelmann and colleagues found the fossils at a dig site in Utah and announced the discovery earlier this month. The paleontologist and geologist says it's a career first. "We happened upon this one," Engelmann said. "It's partly luck, but it's luck resulting from a concerted effort. You can’t just plan to find one of these." The fossil is a species of pterosaur, more commonly referred to as pterodactyls. Unlike most pterosaur fossils, these bones were found fully intact because they were discovered in sand dunes. Engelmann says the location of the fossils is part of the reason the discovery has generated so much interest; pterosaurs aren't typically found in this part of the world. "There are as many as 30 of these fossils around the world, mostly in Europe or Greenland," Engelmann said. "They were much more widely distributed than previously thought. This one lived in a desert, so it shows they lived in very diverse habitats early in their history." Those hoping we might have our first "Mav-osaur" will have to wait for the next big discovery. The newly discovered pterosaur's name is Caelestiventus hanseni, which means heavenly wind in Latin. Read more about the discovery in Newsweek.